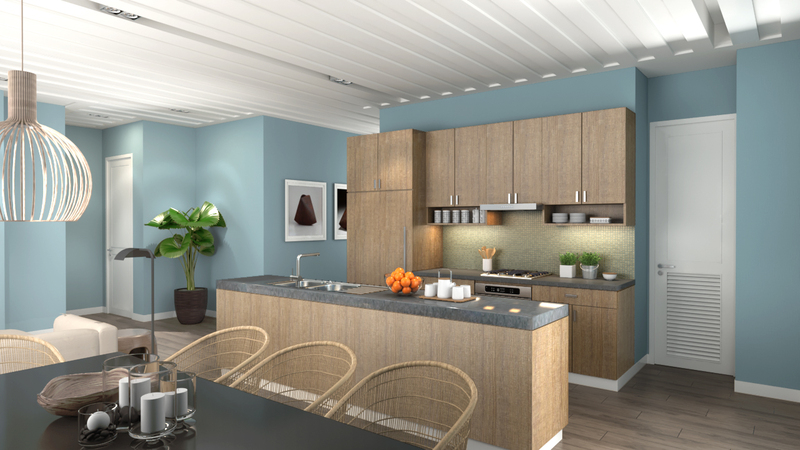 Turn your island home dream into a reality now. Talk to our team to know more about our beachfront condominiums and villas for sale. I want to receive News and Updates about Rockwell Land. Rockwell is on the move to Mactan, Cebu. 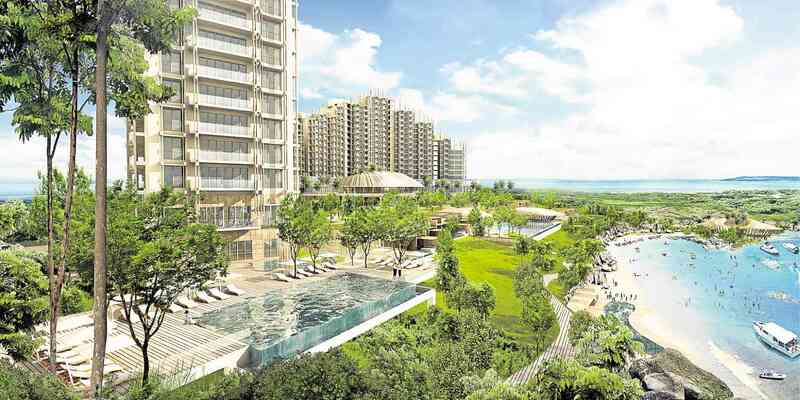 Aruga Resort and Residences – Mactan is Rockwell’s first premiere residential-resort development. Escape to your cut of the tropical lifestyle in residential and hotel towers, or villas sharing 200 meter long beachfront built for the perfect getaway. 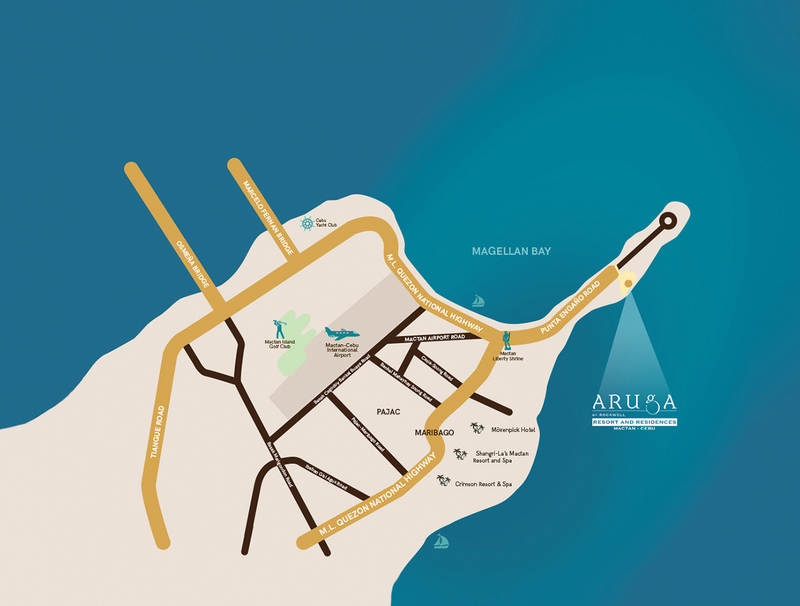 Aruga Resort and Residences – Mactan boasts of its long stretch of private white beach. 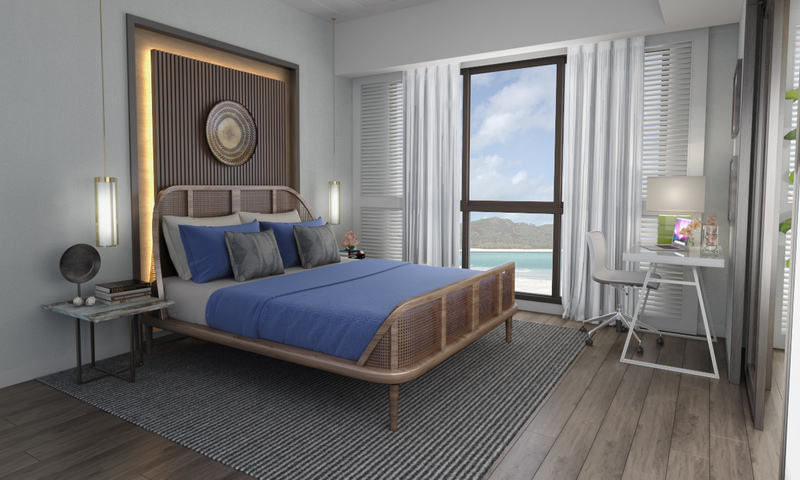 Offering a wide range of units to choose from 1-bedroom units to 4-bedroom units, you and your family can find the piece of paradise that best fits your lifestyle. It’s just you, and the relaxing beaches of Mactan. 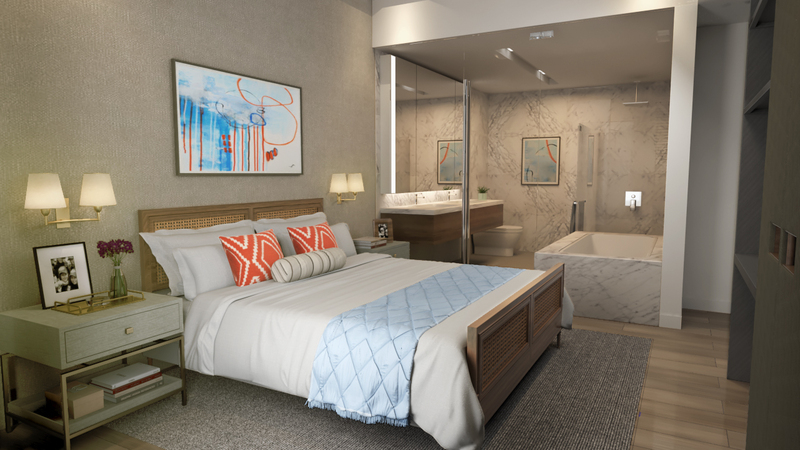 Find the perfect unit for couples and single voyagers with ample room for even a few guests. Give yourself some space to breathe. Get the move to Mactan and escape the bustling city with your growing family. Gather the family and find your tropical haven in Mactan. These units have enough space for a big family itching to experience the perfect getaway. Find soothing relaxation in a tropical haven, where your problems and stress can’t follow you. Aruga rests on the sandy shores of popular sailing and snorkeling destination, Mactan Island, Cebu. Enjoy your own getaway and gain access to 200 meter long stretch of private white beach, with a mesmerizing view of the Hilutungan Channel and Magellan Bay. Let us turn your island home dream into a reality. Leave us a message, and we will get in touch with you shortly. The information contained in this website is meant for general information purposes only and is the property of Rockwell Land Corporation which is protected by copyright, trademark and other intellectual property laws. Any information contained herein may not be published or reproduced, displayed, transmitted, sold, broadcasted, circulated or used in any manner without the prior written consent of Rockwell Land Corporation.